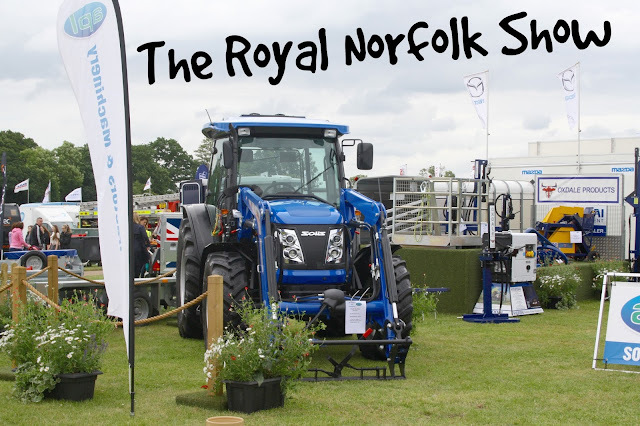 The end of June saw me pay a visit to the annual Royal Norfolk Show, a two-day event which showcases the agricultural and pastoral heritage of the wonderful county of Norfolk. A friend of mine had scored some free tickets, so naturally we headed down to make the most of them. A farming show might not be the obvious destination for two twenty-something girls looking for a day out, but as I grew up on a farm in rural East Anglia, the show has a lot of appeal! And even though 'Naaaafolk' is supposedly the in-breeding capital of the UK, nobody asked to check how many extra toes we have on the way in, which was nice (I have six on each foot, FYI). A summer show with the majority of the attractions being outside can only mean one thing - it's going to piss it down with rain all day. That's exactly what happened to us! 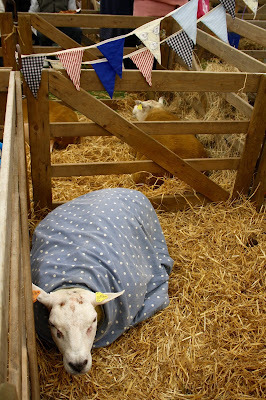 By 12.30pm, the rainclouds had well and truly rolled in, forcing us to take refuge in some of the livestock tents. Really this was no bad thing! 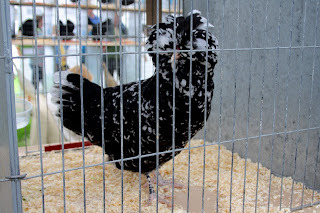 We got to meet some adorably fluffy prize winning bantam chickens and some sheep dressed more stylishly than us! 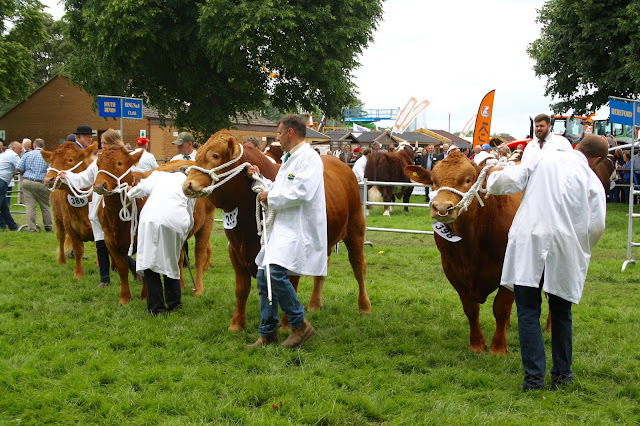 The cows were seriously impressive beasts as well, and you could tell that a lot of hard work had gone into preparing them for the show. Each was immaculately turned out with a beautifully coiffured coat. A brief break in the rain allowed us to watch some rosettes being awarded. As well as animals, the show offered a lot of shopping opportunities! 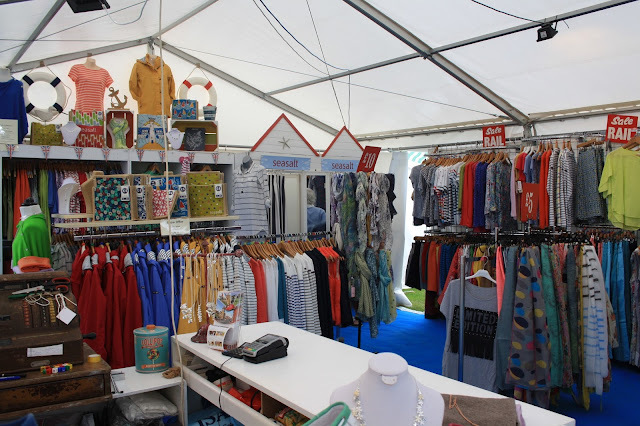 The Joules tent was so rammed that we struggled to get in, but we had a good browse through the lovely Seasalt tent. I could easily have spent way too much money here, they had a gorgeous selection of clothing - as many stripey tshirts as you could wish for! As well as clothing there was an art auction (the prices of which made our eyes water) and some crafting tents selling local produce. A real treat was in store for us in the Be At One cocktail tent! We were invited in from the rain to have a go at making our own cocktails, completely free of charge! 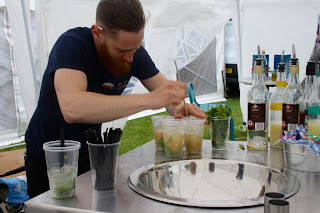 The mixologist showed us how to make the perfect Mojito Especial, with mint stalks, lemon and lime juice, sugar syrup, soda water, and Havana Club Especial rum. 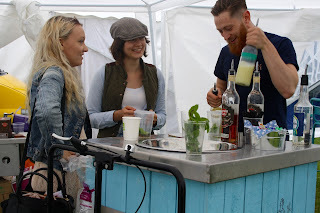 Although we were both total cocktail-making amateurs, each of us managed to create a delicious drink, just what we needed to perk us up after sheltering under our brollies all afternoon! We also entered a competition to win some more free cocktails from Be At One - keeping our fingers firmly crossed! 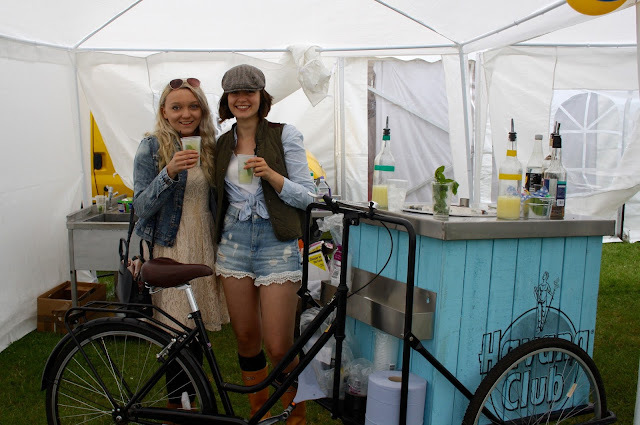 Thanks to the lovely ladies from the Be At One tent who took these photos for us! Of course, we couldn't leave without stopping off in the food hall. 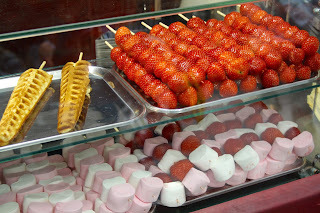 There was lots of fresh local produce on offer, from hog roasts and sausages to all of the sweet treats imaginable! 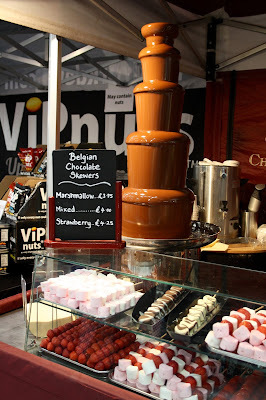 A firm favourite of mine was the Chocolate Fondue Company stand, which offered marshmallows, strawberries, and waffles drizzled with Belgian chocolate! These were absolutely delicious, if very messy! Have you ever been to a show like this? Tell me in the comments.